Geeklings, a very Happy New Comic Book Day to you all! It is Valentine’s Day Eve, which I don’t think is an actual thing, and there are new comics to be purchased. If that’s not a sure sign of the universe showing its love for us then I don’t know what is. For you last-minute shoppers, why not go out and buy comics for that special someone in your life. Don’t get all “bah humbug” on me because that special someone can be you! We all know that Valentine’s Day is a Hallmark holiday marketed to make people feel “blegh” about themselves. I say forget that noise, celebrate yourself! 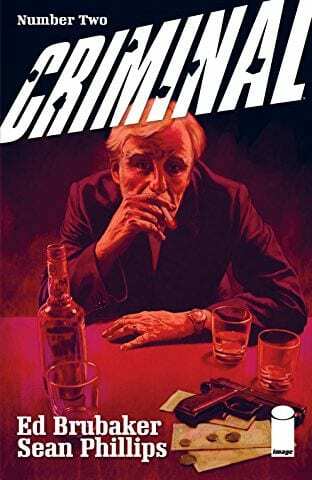 If I was independently wealthy I would buy you all comics, but alas I am not independently wealthy so I’m stuck just suggesting comics… for now. One day my friends. One. Day. 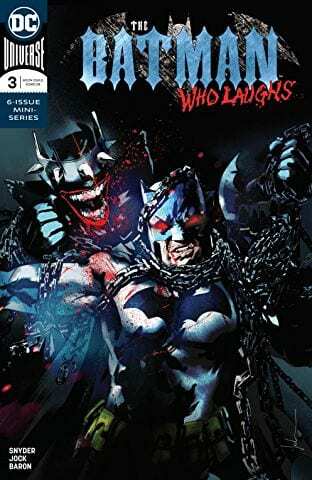 Putting my ambitions to be crazy wealthy aside, let’s talk comics because it’s New Comic Book Day and that’s what we do here at the Pull List. I just finished a mega re-read of Deadly Class (took less than a week) just in time for tonight’s sure to be bonkers Vegas episode and the arrival of new comics! Couldn’t have timed that out any better. What have you guys been reading? Have there been any series you’ve been binge reading or catching up on? Let me know in the comments or throw me a line over on Twitter @iamgeek32. 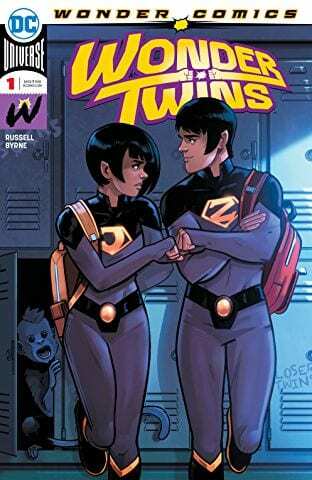 Wonder Twins #1– With Brian Michael Bendis starting up the Wonder Comics line for DC you just had to know it was only a matter of time before the Wonder Twins resurfaced, and look, here they are with a brand new ongoing series! Happiest of happy days! 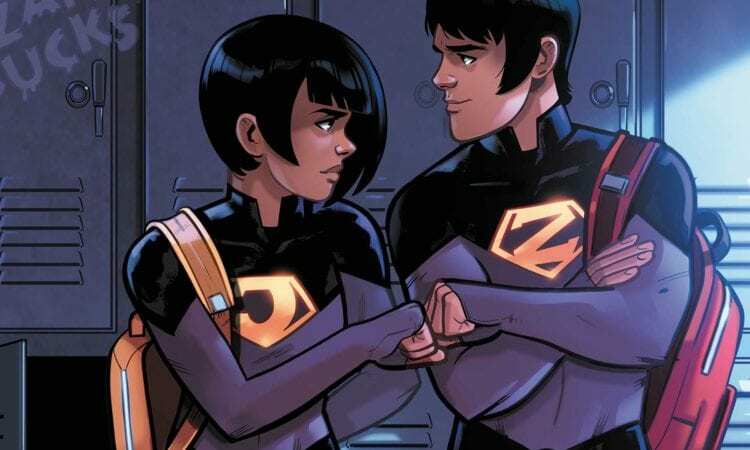 Written by Mark Russell and drawn by Stephen Byrne, Wonder Twins sees the return of Zan and Jayna to Metropolis where Superman can play Big Brother and keep an eye out for them. 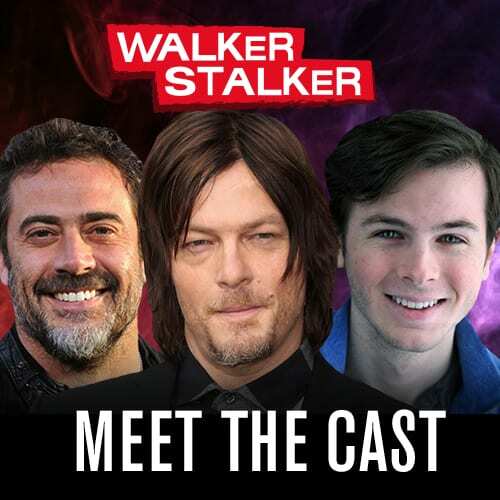 Supes even hooks them up with a job as hall monitors at the Hall of Justice. What a guy! Russell looks to take the Wonder Twins in a new direction so be sure to expect the unexpected. Wonder Comics is off to a tremendous start, with Young Justice and all, and Wonder Twins is a must read. If for no other reason than for Gleek. That guy rocks! 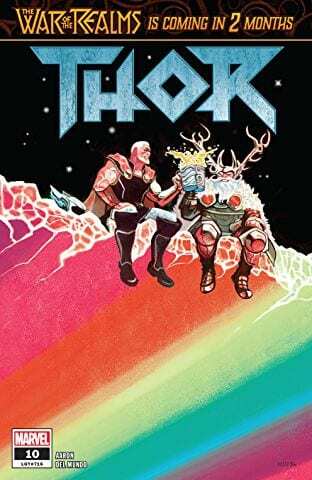 Thor #10– The War of the Realms is only two months away! Two months, Geeklings. Jason Aaron’s entire Thor run has been leading to this moment and we’re so close. Before we get there though Odin needs to get his act together. Ever since Jane Foster wielded Mjolnir, the All-Father has been spiraling out of control allowing Malekith position himself to actually win this war. There’s nothing worse than a god who would rather sit, drink, and feel sorry about himself on a dead planet. Can Odin get his act together to help prevent the destruction of the Realms or is he too far gone? Also, this might be my favorite cover of the week! Loooooove it! The best way to prepare for war is to read issues of Thor. You can thank me later. Flash #64– Part two of Joshua Williamson’s Batman/Flash crossover is here and there is a lot to digest here. 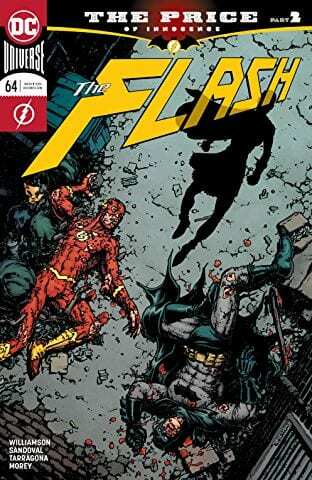 Last issue saw our two heroes at odds with each other after the death of Wally West, and now the supposed to be retired Gotham Girl is causing problems as she tries to resurrect her brother. 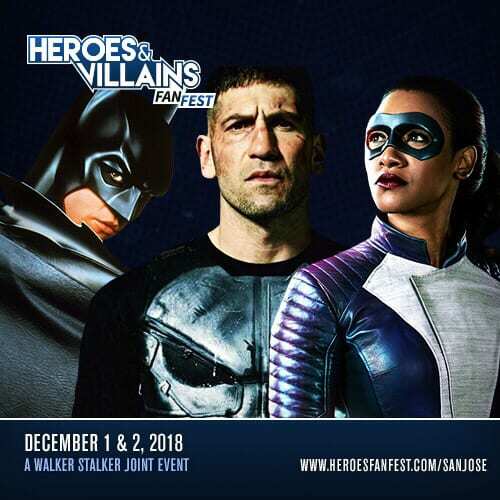 The last time we saw Gotham Girl she was standing with a group of villains behind Bane which leads me to believe he’s using her brother as some sort of leverage. Correct me if I’m wrong but it sure looked like she had him hooked up to venom, didn’t it? 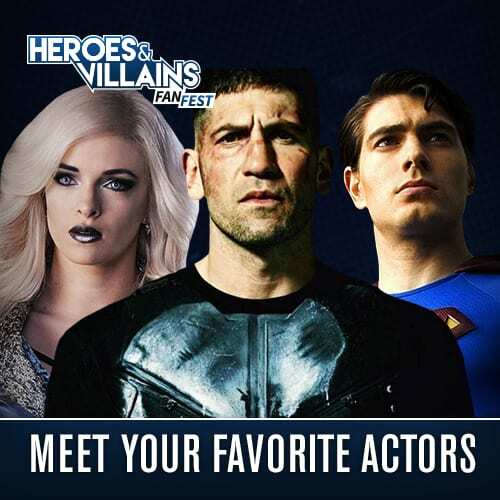 I’ll be curious to see how this plays out and if a rundown Batman and a tired Flash will be able to work together to stop her before she hurts someone or herself. Ms. Marvel #38- I am supremely bummed. After five years, this will be G. Willow Wilson’s last issue of Ms. Marvel, and I thought we had one issue left. This kind of hits like a punch to the gut. The work that Wilson has done with Ms. Marvel is astounding. She has helped create a character that has meant so much to so many. 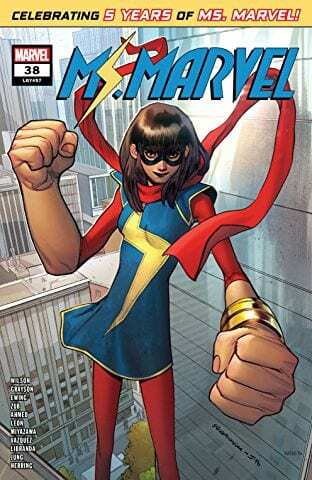 Kamala Khan is an amazing character who has kicked open doors across the Marvel landscape. Hell, the comic landscape. She is now a main fixture in all things Marvel. A strong female character with compassion, a sense of family and religion, and the optimism that she can change the world. And she has. This was a character who was supposed to last six issues and managed to turn that into five years. If that isn’t a testament to the character and writer’s legacy I don’t know what is. 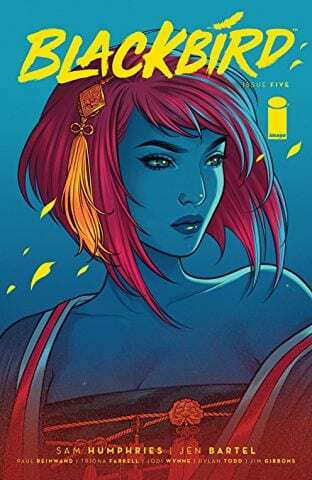 Kamala’s future is a bright one, and you should read issue #38 to celebrate the gift Wilson has bestowed upon us. Avengers: No Road Home #1– I hope you’re ready for ten weeks of Avengers comics because No Road Home is the first issue of a new weekly ten-issue series. 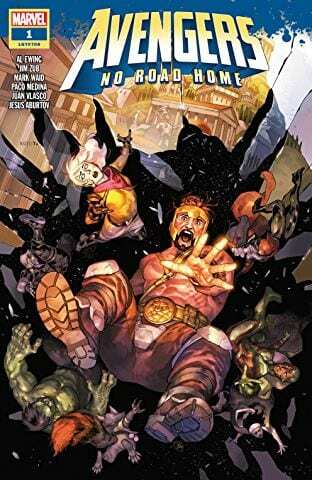 If you liked Avengers: No Surrender then you’ll feel right at home here as the same creative team of Al Ewing, Mark Waid, Jim Zub, and Paco Medina are back with this last weekly series. Turning out weekly comics is a grind and it’s comforting to know that this won’t be this group’s first rodeo. Seven Avengers go on a mission to return light to the universe only to find that things may be more complicated than they thought. Usually are when gods are involved. A new Avengers adventure starts here! There you have it Geeklings, all the best books to get your mitts on this week. As always, if you feel like I left anything off this week’s Pull List sound off in the comments. 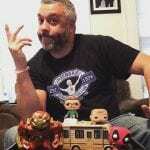 If you’d like to talk more comics with yours truly you can find me on Twitter @iamgeek32. I’ll be there tonight live Tweeting tonight’s bonkers episode of Deadly Class if you’d like to join me. In the meantime, get your comics, get comfy, and enjoy yourselves! Happy reading and many huzzahs!